The final preparations are being made to the air traps, and they should be installed in about a week. 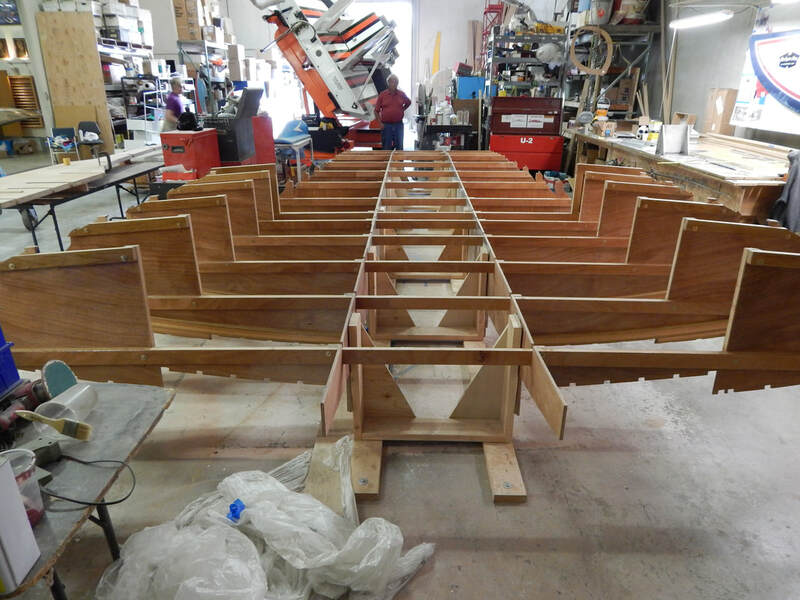 The transom and associated brackets have been mounted, and the engine stringers have been bolted to the frames. The progress may appear to be going slow, but the team is doing a lot..........its what you don't see that takes the most time. Anyhow, enjoy the pictures and the videos below!